We asked Marko Pešić, Executive Director at Belgrade-based advertising agency OvationBBDO, about the year behind him, why it is important for brands to be fit and what challenges the advertising industry in Serbia will face in 2017. How would you rate the previous year in terms of business climate? We are satisfied that we managed both to fortify the relations we had with existing clients and establish cooperation with new ones. 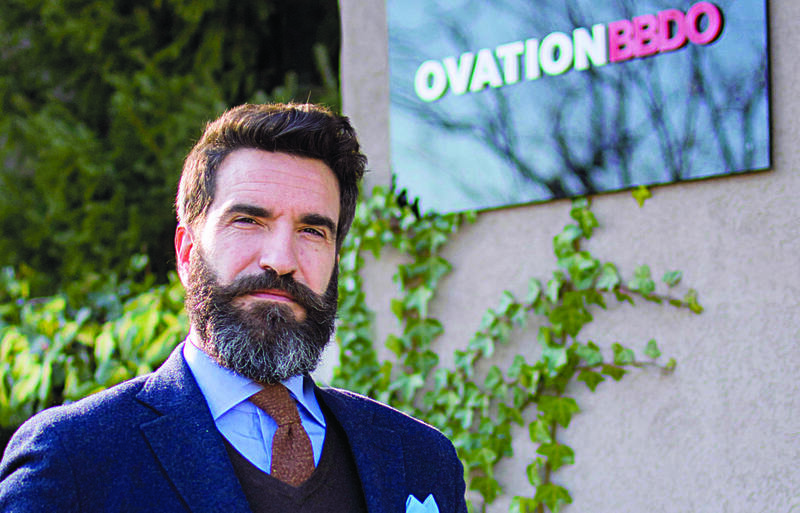 The progress of OvationBBDO is based on three important facets: first is organic business growth, which is a result of the agency’s teamwork with our clients; second is our international projects; and third is the adding of new clients to our portfolio. Of course, each of these three facets is based on the development of human resources within the agency and the acquiring of new talent. You mentioned international projects. Are local agencies creative enough to generate business opportunities for themselves on other markets? For us, the fact that we are able to set up and execute projects designed for other markets simultaneously inspires us and obliges us to the clients who gave us the opportunity to work on them. The projects we did for Pepsico on the Russian and Greek markets show us that Serbian agencies can be competitive outside Serbia. These projects, which were developed in close cooperation with the client, demand significant commitment and bring great honour for us. What is the next professional challenge for you, as one of our most awarded agencies? The awards we’ve been receiving are important signals that we are permanently doing a good job. They honour the final product – the project which we sign, but in the background of the award is healthy, even-handed communication with the client, focused work and creative leaps. We continue our work with clients, with the ambition of advancing our further cooperation. Nurturing current relationships is a professional challenge and we know that it benefits both sides. Of course, the expansion of our client base, diversification of our portfolio and upgrading of our agency work are other challenges for us in 2017. What will you suggest to your clients when it comes to investing in advertising in 2017? We’ll advise our clients to apply the “barbell strategy” in developing their brand. That means that clients should use one side of the imaginary barbell for brand-building, with recourses directed to low-risk investments that bring safe income, while on the other side of the same barbell should be investments that are riskier, but also potentially more profitable. Of course, we support clients in their low-cost investment approach, but in this way we’ll try to encourage them to step into more creative ventures, because the potential of these kinds of benefits could be outstanding. A perfect balance between the two brings the optimum results. Our job is to get brands fit and ensure they stay in shape in order to challenge the competition. This strategy will also be the topic we will present to clients and colleagues at Marketing Mreža’s conference “Izazov” (Challenge). How will 2017 differ from 2016 in terms of doing business? This year will resemble the previous one. New elections are coming up, which will create a certain market distortion in our industry, but we are prepared to adjust. Besides that, the further market integration of several major global brands might also set new industry standards and challenge market players. The advertising industry will have to respond to these challenges. We at OvationBBDO are ready.